Mice can be a real problem around the home and garden, so we have been trialling some of the new additions to the Procter Pest Stop range. A range of repellers which work by emitting a high frequency sound which rodents or crawling insects don’t like. The device is slim and unobtrusive and simply plugs into the household mains sockets. The units are supplied individually or as “whole house” packages of two or three. There is also an outdoor version. Being rural, we have in the past suffered terribly from seeds and seedlings being dug up in the greenhouse and garden, not to mention the chewed up packages, tool handles and gloves. We used one of the small plug in units in the greenhouse and sheds and have had no problems at all this year. There are two settings, one for rodents and another for crawling insects, so if you want to keep both at bay, you will need to two or more units, depending on the size of property. 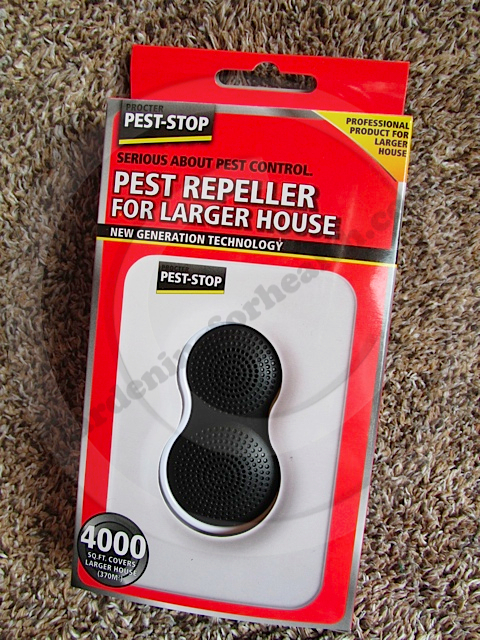 The Pest Stop repellers are very easy to use and have gone unnoticed by our two dogs. A large indoor pest repeller will cost around £45 but this is nothing compared to the cost of damage that mice can cause in the home. A clever innovation to a trusty friend...but no more snapped fingers! Setting the trap is easy and the mechanism will not release unexpectedly trapping your fingers. This allows the trap to be placed in quite confined or awkward spaces, away from household pets and other wildlife. The Cheese or peanut butter is placed in a covered area which can only be accessed by a mouse, avoiding other wildlife being caught by mistake. 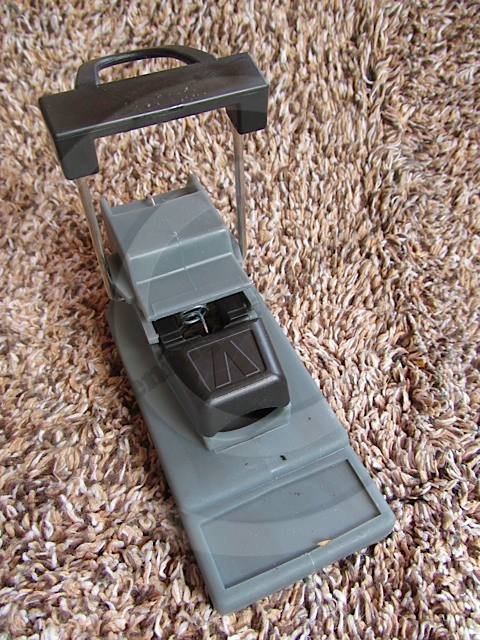 This advanced mousetrap is designed to kill the rodent and it does so quickly and humanely. We trialled these early in the spring and found them to be very effective and safe to use. However, since we have been using the repeller units, there have been no mice to catch! Greenhouses can be paradise for pests such as greenfly or red spider mite and now the Procter Pest-Stop Biofume Greenhouse Fumigator – Insect Killer provides an organic simple way to eradicate these pests. The main ingredient is a formulation featuring garlic oil. Simply light the fuse and place on a fire proof base and leave for about an hour. The smoke is non-tainting and leaves no residual odours and is said to be suitable for organic use. So far, all of our lettuce and tomatoes are bug free! 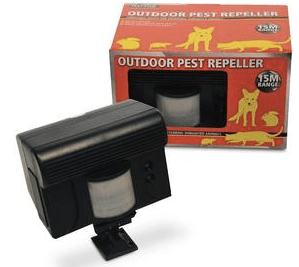 If larger animals are a nuisance, then the Pest Stop outdoor unit with it’s powerful ultrasonic repeller is designed to clear the garden of unwanted visitors. The passive Infra-red (PIR) motion detector can detect movement up to 70 ft. from the unit, which triggers a burst of powerful ultrasound, harmlessly scaring the intruder away. Creatures affected include: Rats, cats, dogs, squirrels, rabbits, foxes, badgers and deer. The unit is battery operated requiring 4 x D cell batteries which last around 12 weeks. (rechargeable D cell batteries can be obtained). A couple of adapters are included in the pack for fixing to wall/fence or pole but we would have also liked to see a pole included in the pack as the mount was too large for any of the garden poles we had available. The manufacturer claims the unit will not affect people, fish or birds. However, when working in the garden within it’s range, it will be triggered constantly, even though you cannot hear it…so we think it is best to switch it off to preserve battery life. Just need to remember to switch it back on again! Procter are experts in pest control and the extensive range also includes devices to control moles and mink.